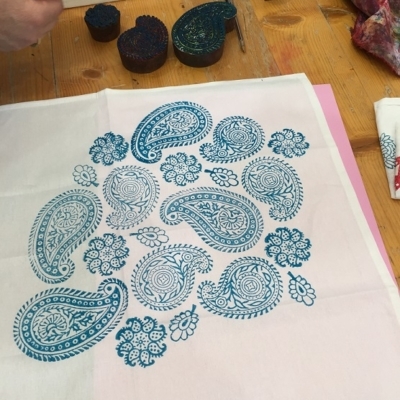 Join the Arty Crafty Place for a Full Day Block Printing Workshop ! 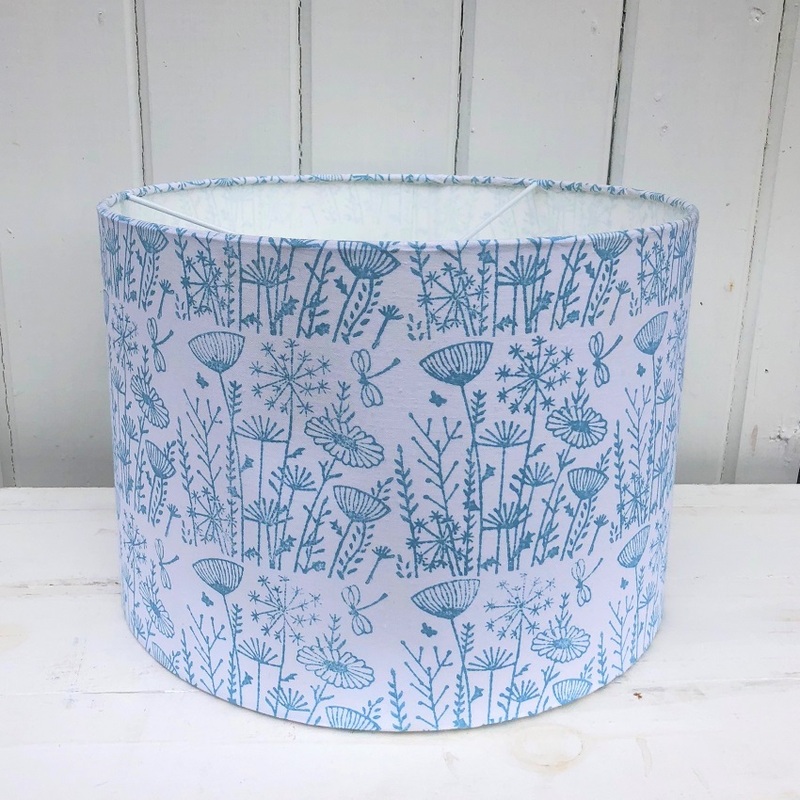 Learn how to Block print onto Fabric, test out a huge range of designs & colours and then use this knowledge to print a piece of fabric which you will then make into a Lampshade and another fabric item! 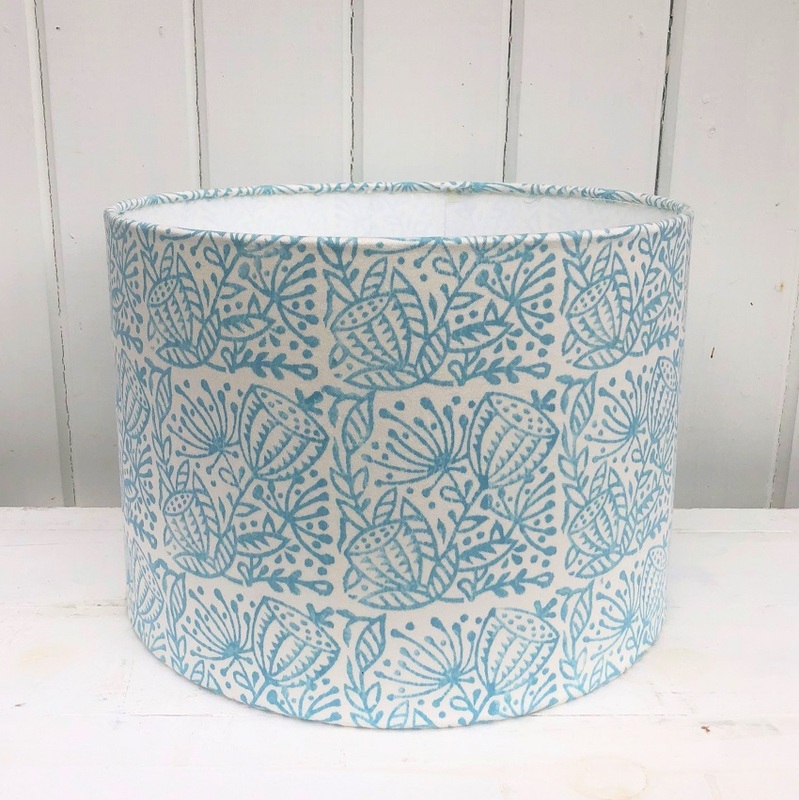 Learn how to Indian Block Print, and then turn your hand printed fabric into a beautiful 20cm or 30cm professional Lampshade. 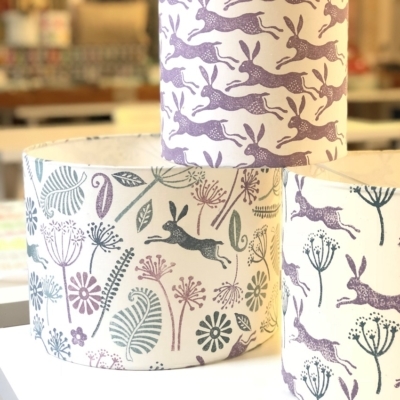 You will have use of our full range of Indian Blocks but specially we will have on offer our hugely popular range of Seed Head’s, Floral, Hares and our new Botanical range! Offering as a full day workshop so you have much more time to feel confident with your printing & design before making up your lampshade! 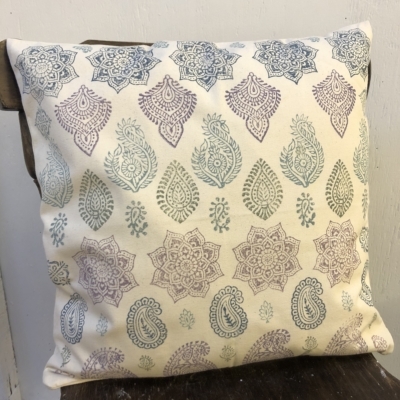 The workshop will start with a full demonstration on how to block print, along with showing you several different printing techniques you might like to use, you will then have an hour or so to practice printing on plain fabric with lots of different designs and colours testing out different styles. 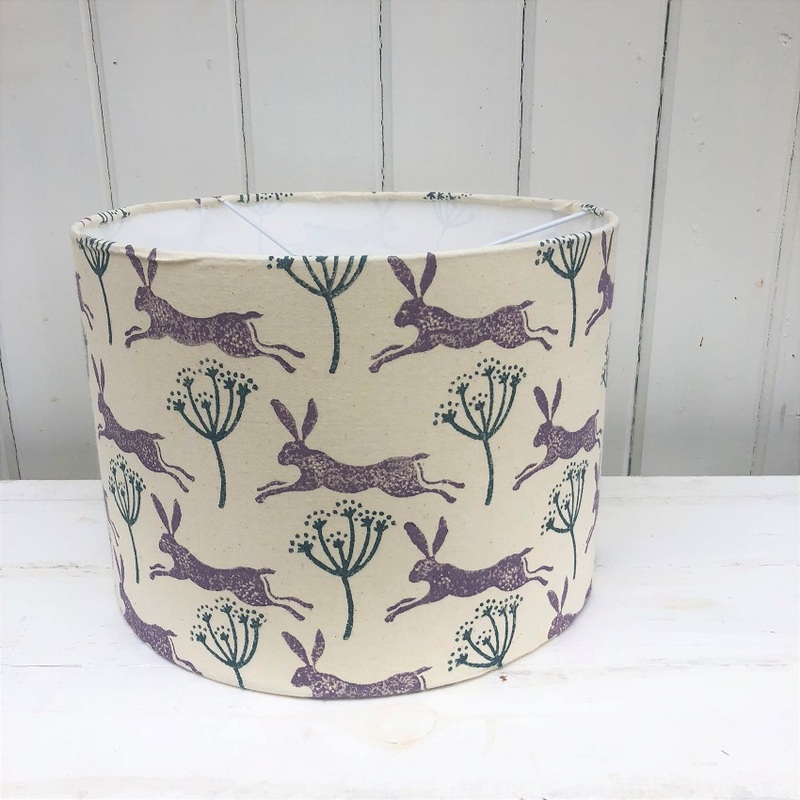 We will then look at coming up with a pattern for your lampshade making sure your design lines up on the fabric. We will then stop for lunch, in which time you can look at our shop if you want to purchase any supplies. 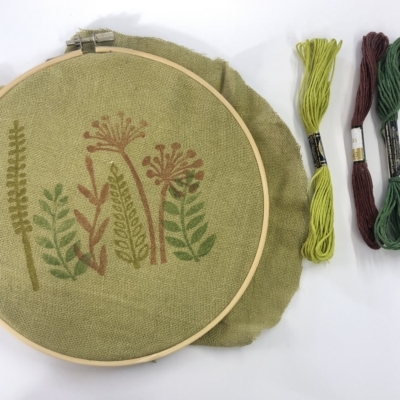 The afternoon will consist of printing the final piece of fabric for your shade and then assembling it all together. 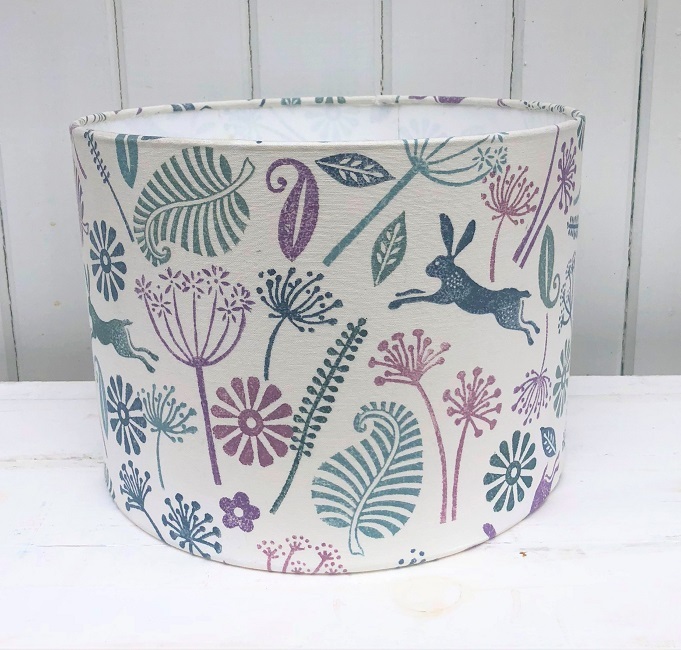 If finished early you will have the chance to print a additional fabric item such as Tea Towel, Tote Bag, Cushion Cover or Napkins. 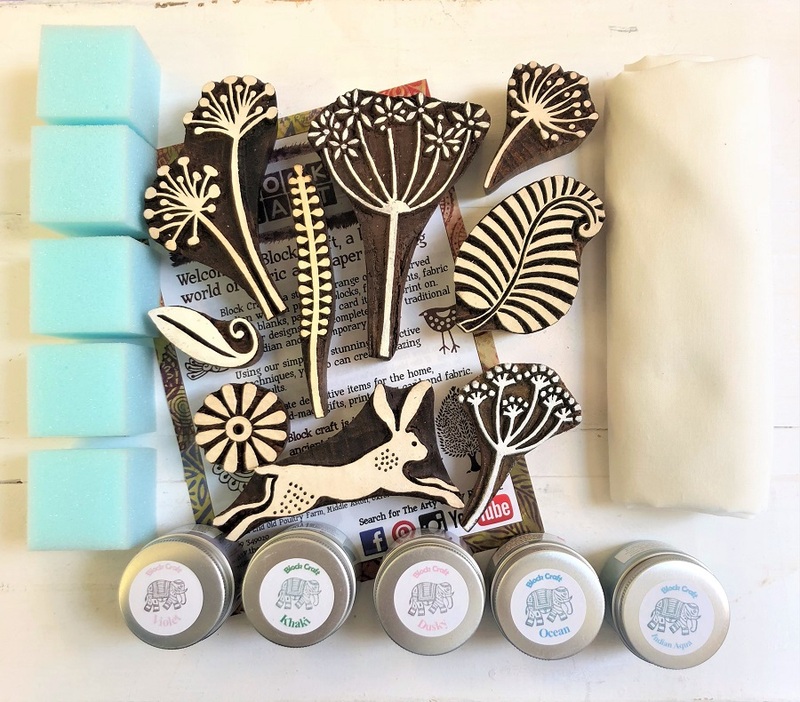 You don’t need to bring anything to this workshop other than yourself & a pack lunch! Tea, Coffee & Cake will be provided! 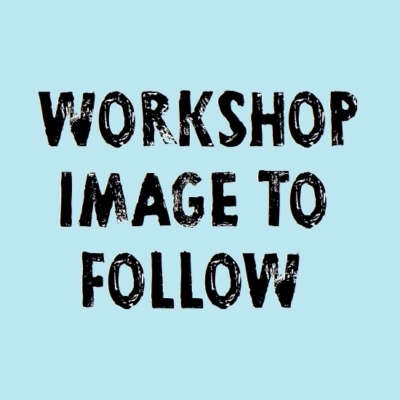 After paying for your workshop we will email you a confirmation & more workshop details.